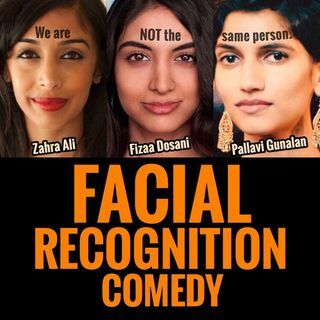 In this episode of the Facial Recognition Comedy Podcast, the ladies of FRC catch up with each other and each of them leads their own segment. Zahra found a #ManCrushMonday worthy of our love. Pallavi educated us with a science fact about how brains actually work and Fizaa leads a personal life check-in. Keep up with these cuties on your podcast app, iTunes, Spotify, SoundCloud, Google Play, iHeartRadio, Stitcher, PlayerFM, or Spreaker!